GLOUCESTERSHIRE, UK, Nov 23, 2016 – Woodworking machinery specialists Felder UK are partnering with Alphacam software and cutting tool specialists to give customers a preferred one-stop solution for all CNC machining needs. 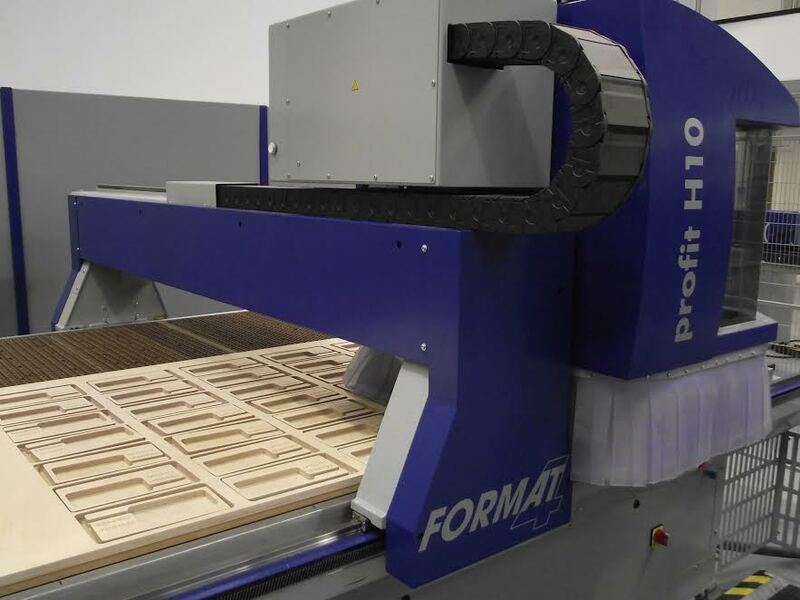 Chief executive Matthew Applegarth says their Format 4 branded CNC machines are supplied with proprietary Woodflash software which is an ideal introduction to CNC machining, for creating simple programs and basic cabinet panels. Operating out of recently refurbished 20,000 square foot premises in Milton Keynes, Felder UK provides a wide range of machinery in addition to CNC, including bandsaws, panel saws, spindle molders, edgebanders, planer-thicknessers and material handling solutions. Their customer base is predominantly involved in furniture and panel production – fitted furniture and kitchen suppliers, through to cabinet makers for intricate and fine furniture, and general joinery companies making staircases, doors and windows. The CNC range starts with the small H08 1325 8×4 flatbed router for 3-axis machining, going up to the H10 heavy industrial machines with automatic loading, offloading and through-feed production, along with 3, 4 and 5-axis pod and rail machining centers. This entry was posted in CAD-CAM-CAE on November 23, 2016 by Sharmila Guha.